Some time back I wrote an article on Customer Centric Innovation where I took examples from daily life chores like VIM bar, Mc aloo Tikki and Scooty etc. I just saw one more recent example of G-Mail’s Priority Inbox. Innovation is the key to success. 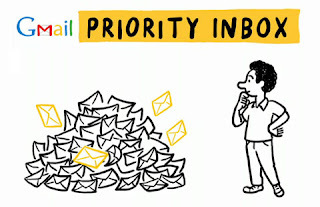 Gmail has very recently launched a new system of filtering emails, on priority basis. Is it a really Innovation or Modification?? I would say partially modification and partially Innovation. Modification: I guess we already had a spam folder… where the mails which are malicious goes automatically. We also had folder creating option, wherein we can filter the mails from specific email ID’s. For example I have a folder named ‘Urgent’ wherein any mails from my web development teams or from my corporate partners goes; I used to check those mails first. 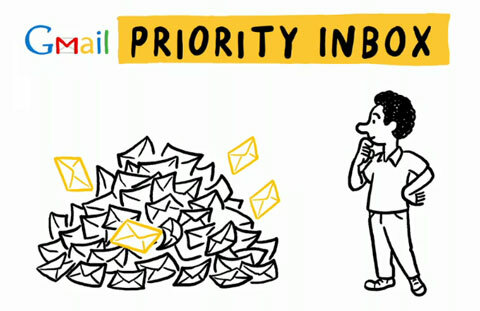 Priority Inbox is offering the same service of categorizing the emails. Innovation: Gmail will automatically set a priority order for the mails coming from specific emails, depending on the frequency and interaction with the sender. This will certainly automate the system of prioritizing the tasks. I personally believe that this is not a really big change as it’s not the new innovative solution for any major problem but it is just an extension to the filters. So it might not have much effect on the users behavior of mail communication.